The build-up of NATO forces in Eastern Europe is hostile and destabilizes the Baltic, once the safest region in Europe, a senior Russian diplomat charged. 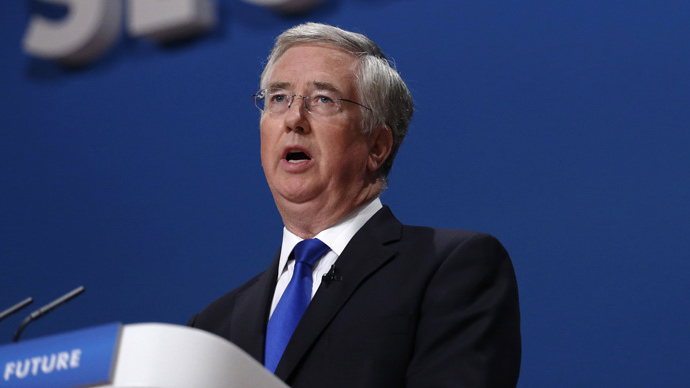 The alliance’s chief accused Moscow of conducting aggressive exercises close to NATO borders. The trade of accusations between Russia and NATO continued on Monday ahead of a NATO ministerial meeting this week. By bringing in more weapons to Eastern Europe, some of them with highly-destructive power, the North Atlantic alliance is undermining regional security, Russia’s deputy foreign minister told Interfax. 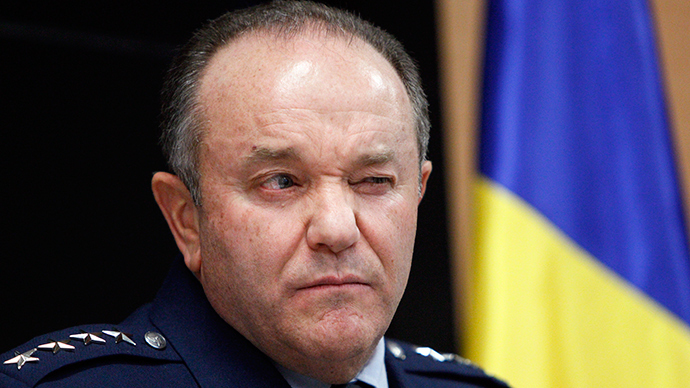 “What are NATO military commander in Europe Philip Breedlove and the likes of him doing? They are trying to shake up the most stable region in the world, which is Europe’s north. Those endless military exercises, rebasing of aircraft capable of delivering nuclear weapons to the Baltic nations. This is the reality, a very negative one,” he said. He added Russia would “take all steps necessary to ensure safety or Russia and its citizens” from any possible threat. He added Moscow’s response to the “hostile actions” of the alliance would not draw it into “a senseless confrontation, which would only make it appear an enemy of the US and NATO, as they want it to." 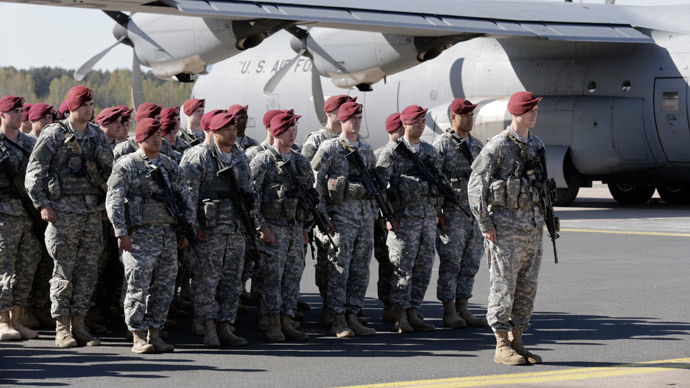 NATO launched a massive military build-up of troops in the Baltic States and other Eastern European NATO members after the crisis in Ukraine saw relations between Moscow and Washington plunge to their lowest level in decades. The alliance claims this is needed to build confidence in the respective governments of NATO’s protection from an attack by Russia. The effort was praised on Monday by NATO’s new chief Jens Stoltenberg, who arrived in Brussels for the upcoming ministerial meeting. “We have already boosted our presence in the eastern part of our alliance. We have five times more planes in the air. Our forces start an exercise every two days. And we have also increased the number of ships in the Baltic and the Black Seas,” he told the media. 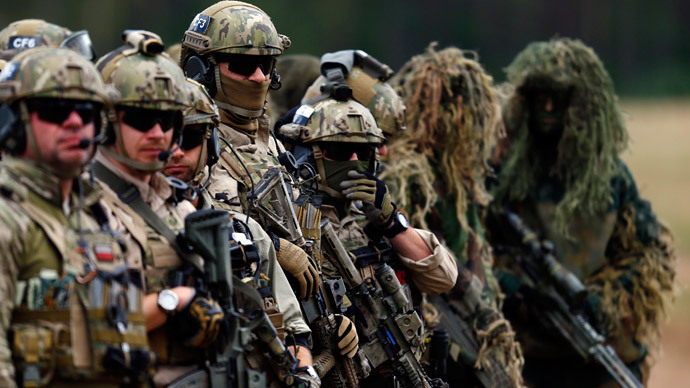 Stoltenberg added that NATO members, particularly the Baltic States, complained of an increased number of Russian military exercises close to their borders. He acknowledged that Russia conducts those exercises in international airspace and waters and is not violating international treaties. He claimed it is doing this in an aggressive manner, partially due to proximity to NATO borders. Moscow sees NATO expansion towards its borders as aggressive and a violation of post-Cold War agreements. It wants the alliance to guarantee that Ukraine and Georgia would not become part of the alliance, but Stoltenberg said NATO cannot and will not give such guarantees. “There is no way we can guarantee – we don’t want to deliver that kind of guarantee – because we are basing our policies on the open-door policy. It has been a great success,” he said. NATO severed all practical cooperation with Russia in the wake of the Ukrainian crisis and has been since accusing Moscow of sending troops and military equipment to rebel-held areas in eastern Ukraine. The alliance usually doesn’t provide any proof of such accusations and is not bothered with reports to the contrary coming from OSCE observers deployed on the border between Russia and Ukraine. Moscow believes that the alliance is using the Ukrainian civil war and the secession of Crimea as a pretext to justify larger spending by members of the alliance.